Sandra D. Long, an employee of the Philadelphia Inquirer since 1984 and vice president for editorial product development for Philadelphia Media Network, latest owner of the Inquirer and Philadelphia Daily News, was dropped from the staff on Wednesday. Long said her goodbyes on Wednesday "to as many people as I could," she told Journal-isms. Mark Block, the company's vice president for external relations, said there would be further reductions as the company attempts to align its budget with revenues and the economic climate more frequently during the year. Long's position was eliminated, he said. Further reductions could come on either the business or editorial sides, he said, and likely will not all come at once. Coincidentally, Long is being dropped from the staff just weeks before the National Association of Black Journalists meets Aug. 3-7 in Philadelphia for its annual convention. Long, a founding member of NABJ, she said she considers her role as a founder a highlight of her career. She said she intends to be at the August gathering. "I still look at Philadelphia as the founding chapter and I feel that the convention is coming to our house," Long said. Long, 58, was promoted when Philadelphia Media Network took control of the newspapers and their website in October. "For the last two years, Sandra has been vice president/newsroom operations, playing an integral role in consolidating the photo departments and support staffs of The Inquirer and the Daily News as well as sharing resources on the copy desks and in the graphics departments. She also helped coordinate special sections jointly produced by the papers," Acting Editor Stan Wischnowski said at the time. "She will be part of a companywide team working to develop new products across multimedia platforms." Those functions will now be split among other staffers, Block said. Asked what had changed since October, he said the company is merely correlating expenditures with revenue more often during the year, taking into account circulation, advertising and the economic conditions of the media industry. "Things are not progressing at a rate in this economy that allows us to provide long-term extensions in the budget," he said. Asked why another job could not be found for Long, he said, "The goal is not to expand the company." Long said she was not sure what she wanted to do next, whether it will be in the newspaper business or elsewhere in the media. "I was able to pull people together to work and produce their best journalism," she said when asked of her achievements. And for the last couple of years, "the Daily News and the Inquirer newsrooms have always competed. My job has been to get them to collaborate and I was able to do so." Long said she was also proud of the recent internship program for college students that she headed for the Pennsylvania Society of Newspaper Editors. The interns included three African Americans. "I worked their butts off for 2½ days," she said, and they produced 20 stories, 30 blog posts, 12 videos and at least 150 photos. Their work can be viewed at http://newsconf11.psne.net/. "Sandra is a proven newsroom leader who is enormously talented. She has been the main liaison between the newsroom and business departments for over 10 years and she has developed excellent working relationships with all divisions throughout Philadelphia Newspapers. "Sandra joined Philadelphia Newspapers in January 1984 as a journalist and has held several management positions including deputy Pennsylvania Editor, deputy managing editor, assistant managing editor, and recently Managing Editor/Operations for The Philadelphia Inquirer. She is a founding member of the National Association of Black Journalists and a member of the Philadelphia Association of Black Journalists and the National Association of Minority Media Executives. Sandra has won multiple prestigious awards including the 2008 Woman of The Year Award given by the Philadelphia Chapter of Zeta Phi Beta Sorority, 2007 Trailblazer Award from the Philadelphia Association of Black Journalists, and 2007 Courage Award from the Philadelphia Chapter of the American Cancer [Society]." Hillery Smith Shay, senior editor, photography at the St. Paul (Minn.) Pioneer Press, was laid off on Monday for "economic" reasons, Editor Mike Burbach told Journal-isms. Shay, seeing the trend in the newspaper business, was already pursuing a master's degree in business administration at nearby Bethel University. "Predicting the curve is one of my strengths. It's a really unfortunate time for the business," Shay, 38, said. "I don't hold it against anybody." In fact, Shay said, she had had to lay off two people in her department, one that once numbered 20. Because she majored in fine arts as an undergraduate, a master's degree in business would give her a more practical foundation were she to work for a large corporation, she said. Shay came to the Pioneer Press a little over six years ago from the Associated Press in Miami. 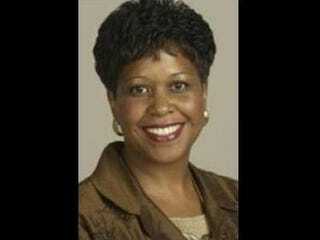 From 2005 to 2007, she chaired the Visual Task Force of the National Association of Black Journalists. The News & Observer in Raleigh, N.C., is transferring newsroom production work to a new center at the Charlotte (N.C.) Observer, moving "about 25 N&O positions" there, the Raleigh paper announced on Monday. "Beginning in August, the new center will perform copy editing and page design for The N&O and its community newspapers, as well as The Charlotte Observer and The Herald of Rock Hill, S.C., which also are owned by The McClatchy Co.," the paper reported. In Raleigh, the move would affect two black women — a desk manager and a copy editor — and a black man who is classified as a copy editor/designer in the group, Linda Williams, senior editor at the paper, told Journal-isms. Millicent Fauntleroy, assistant news editor and slot editor who is African American, said she would not move to Charlotte. "I plan to retire while accepting my severance payment, unless my interview with our human resources department on Thursday shows me that there is an error in my thinking," she told Journal-isms. Fauntleroy, 61, has been at The N&O nearly 25 years, and has been employed full time as a journalist for 41 years. Black journalists Sheon Ladson, a features copy editor, and Brian Wasson, a copy editor/designer, are also affected. Bob Herbert, the former New York Times columnist who wrote his farewell column for that paper in March, is joining Demos, a New York-based "national policy center," as a distinguished senior fellow, the organization announced Tuesday night. "At Demos, Mr. Herbert will continue his work on behalf of low- and middle-income Americans, providing expertise and writing on economic, social and policy issues," the organization said. "At Demos, Mr. Herbert will continue working on a new book, 'Wounded Colossus,' while writing for Demos' new blog, Policyshop.net. Among other activities, he will also contribute to The American Prospect — a publishing partner of Demos." Ellis Cose, the Newsweek columnist and veteran journalist, wrote in 1993's "The Rage of a Privileged Class" that middle-class blacks were angry. He revisits the subject in his new "The End of Anger: A New Generation's Take on Race and Rage" and said he found significant changes. On Monday, Cose presented his findings at a forum sponsored by theRoot.com at the home of the Root's parent, the Washington Post Co. "Based on a survey of African Americans covering three generations, the youngest group is far more optimistic about its opportunities and more confident about overcoming racism than its elders," according to a summary distributed for discussion. A panel responded. The Post's Eugene Robinson, author most recently of "Disintegration: The Splintering of Black America," said, "I absolutely agree with the premise about the generational difference that you see. Harvard MBAs and people going to fancy prep schools have a lot of reason to be optimistic." But Robinson said he worries about those he describes in "Disintegration" as "the Abandoned: No Way Out." The groups are so far apart that "It's difficult to lay out an agenda . . . for all African Americans of all ages and all economic classes," Robinson said. Erica L. Williams, speaking for Millennials, those born between 1980 and 2000, said, "What it means to be an African American culturally has changed. You find young African Americans sharing cultural traits with people of other races, such as skate culture. . . . Not that there is less anger, but anger is not necessarily a defining characteristic," she said. But Williams was hesitant to label what she observed. "I wouldn't call it the end of anger, but the beginning of confusion. We don't know what we're seeing." Cheryl Contee, a partner at Fission Strategy and co-founder of the website Jack and Jill Politics, had two themes: technology and "the prison-industrial complex." Contee said that when mobile devices are accounted for, there is no digital divide between black and white. She also said, "We cannot sit idly by while so many of our black men" are in prison. She quoted Michelle Alexander, author of "The New Jim Crow," who said there were more black men in prison today than were slaves in 1850. Jamal Simmons, a Democratic strategist, said, "I think we can make the argument that there is the possibility for black people to do whatever they want as individuals, but when you make a mistake, there is the possibility that you can fall faster" than a white person would. He also urged African Americans, "Make some friends with Latinos," noting demographic changes. "African Americans have much more infrastructure than the Latino community does." But, he said, "that's not going to last." "If the Karpoor Chandra Kulish International Awards are any indication, the business of print journalism kudos moves at a slower pace in India than it does in the U.S.," Richard Horgan wrote Wednesday for FishbowlLA. "More than 20,000 indigenous Mexicans, most of whom do not speak Spanish or English, are serving out sentences in U.S. prisons and are lost in a system that they do not know or understand. "It’s a great series, translated into English by Marvelia Alpízar." "The Committee to Protect Journalists has released a report about what it calls 'the silencing crime': sexual assault against journalists," the Huffington Post reported on Wednesday. "The issue of sexual assault was relatively dormant until the assault on CBS reporter Lara Logan in Egypt in February. The attack, and Logan's decision to discuss it openly, prompted an outpouring of commentary about the dangers that correspondents face around the world. "In the report, author Lauren Wolfe talked to over four dozen journalists. ". . . Speaking to CNN, Wolfe said media organizations need to give journalists space 'to report these issues,' and treat the possibility of sexual assault as seriously as they would other dangers when they send reporters into the field.
" 'Press freedom means being able to report freely in any kind of environment,' she said." The subject of racial identification of crime suspects is being debated again in Chicago after "A dozen or so teenage males went on the prowl near North Michigan Avenue in Chicago's toniest shopping district. "They attacked five people, ages 20 to 68. Their loot included a backpack, a wallet, a bike, an iPad, a BlackBerry and an iPod Touch. The cops quickly arrested five alleged assailants, at least three of them from the South Side, and vowed to find the rest," Mary Schmich wrote Wednesday in the Chicago Tribune. The Associated Press stylebook has said identification by race is pertinent "when it provides the reader with a substantial insight into conflicting emotions known or likely to be involved in a demonstration or similar event." "I'm ambivalent about the omission of the attackers' race in the news accounts, but I think I would have decided to leave it out too," Schmich wrote. ". . . Race alone doesn't predict or explain behavior. Just because this mob was young and black hardly means that all young, black people in groups are a violent mob. Knowing the race of these attackers is no form of protection. "And yet race is an aspect of what happened Saturday night. "It's a piece of the story simply because we notice." "The answer? Not as much as any single word — black, white, other — may make us think we do." * Dennis Byrne, Chicago Now: Disclose the race of flash mob victims and attackers. * "You may not recognize the name Eduardo Blancas," Richard Horgan wrote Tuesday for FishbowlLA, "but this veteran journalist proudly claims in his bio that he was the only American TV reporter to broadcast from within the Kosovo, Yugoslavia war zone. He can now add lead anchor of LATV’s Noticias newscast to his impressive resume. LATV is the only remaining Latino-owned TV network in the U.S. The Noticias program airs Monday through Friday at 5 p.m. PT—8 p.m. ET." * "Patch is not alone these days in pursuing the hyperlocal SoCal journalism game. Over the weekend, a second component of a . . . joint effort from USC Annenberg and La Opinión, The Boyle Heights Beat, launched," Richard Horgan wrote for FishbowlLA. "This East LA clarion comes on the heels of last year’s Annenberg offering The Alhambra Source, which is published in English, Spanish, and Mandarin." * "Executives from Disney, Turner, and Comcast were in unanimous agreement that we are only two years away from 75 percent of TV content being available online and on mobile devices," D.M. Levine reported Tuesday for Adweek.com. "At the Elevate Video Advertising Summit in New York this afternoon, Matt Strauss from Comcast Interactive Media, Jeremy Legg from Turner, and David Preshlack of Disney and ESPN predicted that TV 'everywhere' was imminent, and that in the same time frame the networks will be almost completely agnostic about where and when their video content is being viewed." * "Minority children spend an average of 13 hours a day using mobile devices, computers, TVs and other media — about 4½ hours more than white kids, says a report out today," Mary Brophy Marcus reported for USA Today. "Among 8- to 18-year-olds, Asian Americans logged the most media use (13 hours, 13 minutes a day), followed by Hispanics (13 hours), blacks (12 hours, 59 minutes), and whites (8 hours, 36 minutes. )," the Northwestern University study said. * "It wasn't her most-watched show ever, but it did draw an impressive crowd," Toni Fitzgerald wrote Wednesday for medialifemagazine.com. "The series finale of 'The Oprah Winfrey Show' on May 25 drew 16.4 million total viewers, according to Nielsen numbers released today by Winfrey's production company, Harpo. That was 'Oprah's' most-watched episode since Feb. 15, 1993, when she aired an episode entitled 'Why I Love Older Women,' which drew 17.3 million viewers." * In Orlando, "Laura Diaz will say farewell as a morning anchor at WKMG-Channel 6 on Friday morning," Hal Boedeker reported Monday for the Orlando Sentinel. " 'I don’t think I can do television anymore,' she said this afternoon. 'It’s just a lot of pressure. I got into it young. I moved up quickly. It’s really a tough job to do. You have to have a certain thick skin.' Diaz, 28, has been at the CBS affiliate nearly four years." * "VIVmag, the leader in women’s luxury lifestyles and home of its exclusively digital, award-winning global magazine, announced today that Jocelyn R. Taylor has been named publisher of VIVmag and its associated properties. Taylor is a media industry veteran with a track record of success in growing luxury and lifestyle brands," an announcement Wednesday said. Taylor was publisher of Uptown magazine and held executive roles for Black Enterprise, Gotham Magazine, Hamptons Magazine, Los Angeles Confidential Magazine and Odyssey Couleur, travel magazine. VIVmag claims "a circulation of 350,000 of the world’s most influential women." * "New Jersey Network, the state-run media outfit that has for 43 years produced programming dedicated to public affairs in the Garden State, will be no more under a proposal unveiled today by Gov. Chris Christie," Michael Symons reported Monday for NJ Press Media. * "Seems there's no way to avoid Fox News these days. Rolling Stone and New York Magazine have big stories about the network," David Lieberman wrote for Deadline.com. "And Fox was very much on the minds of the media elite who gathered in NYC today for the annual Mirror Awards, Syracuse University's celebration of the year's best reporting about the media. Eric Alterman, accepting the best commentary award for digital media, disturbed the air of industry self-congratulations by urging the audience to 'stop treating Fox News as though it's news. It's not.' "
* "FCC Chairman Julius Genachowski has told Congress he supports striking the so-called 'fairness doctrine' and a couple of its corollaries from the Code of Federal Regulations," John Eggerton wrote Tuesday for Broadcasting & Cable. * "The memorial service in Washington for [Pakistani] journalist Saleem Shahzad — who was killed around May 29 — was held at the National Press Club this past Monday," Bob Dietz of the Committee to Protect Journalists wrote. ". . . .what if we could have prevented his death in the first place?" Dietz discussed a proposal "to create a hub of experts and gather knowledge about the assaults, kidnappings, and murders of journalists over the years . . . to make the idea a reality." * "Rwanda's highest court on Friday sentenced a journalist in exile to two years and six months in jail, after finding him guilty of inciting civil disobedience and insulting the president," Agence France-Presse reported. "The journalist, Jean Bosco Gasasira, editor of the bi-monthly newspaper Umuvugizi was acquitted by a lower court in September but the prosecutor appealed against the acquittal and asked for a 10-year sentence." The International Press Institute condemned the sentence.